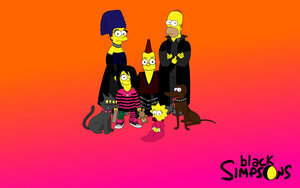 the_Simpsons_emo 2. . Wallpaper and background images in the os simpsons club tagged: the simpsons. What the hell? You can barkey see anything! That and it's so cheesy!